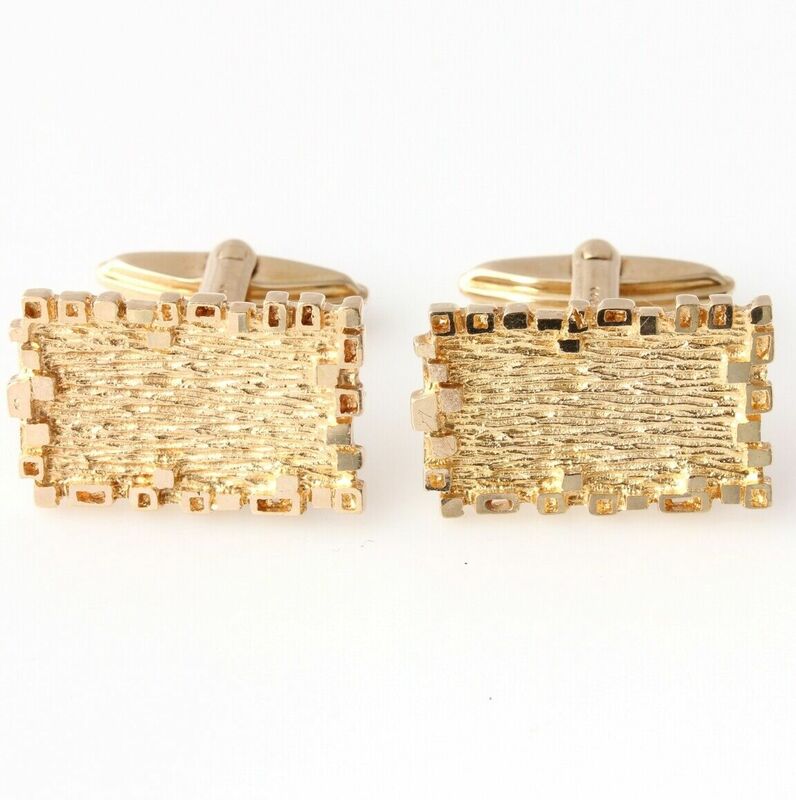 1970's Heavy 9ct Gold Cufflinks. Rectangle Bark Textured Design. 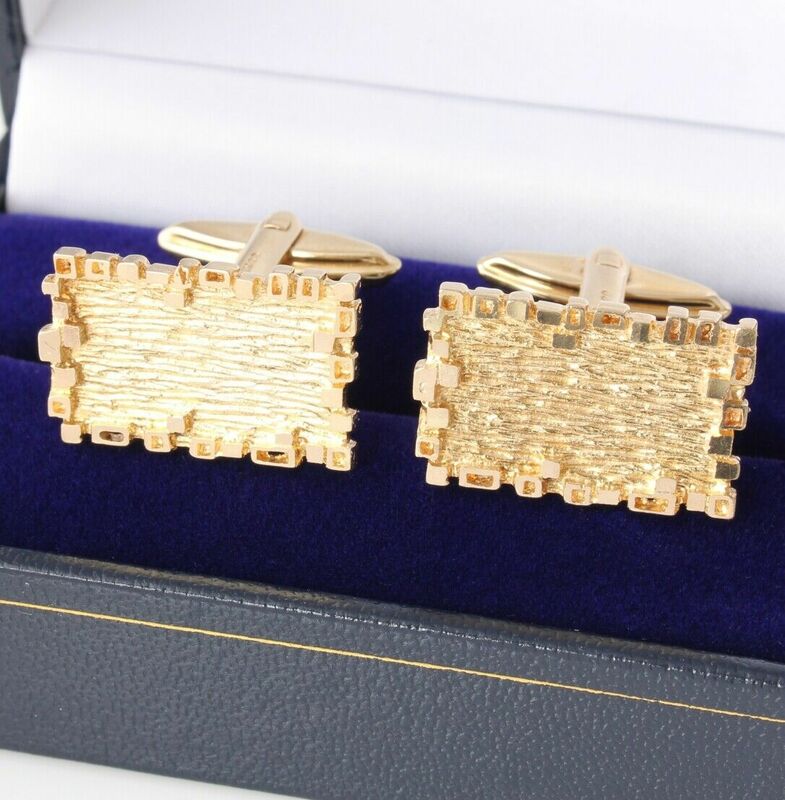 These true vintage cufflinks are crafted in solid 9 ct yellow gold and have a stylish textured design and hinged bar fittings. 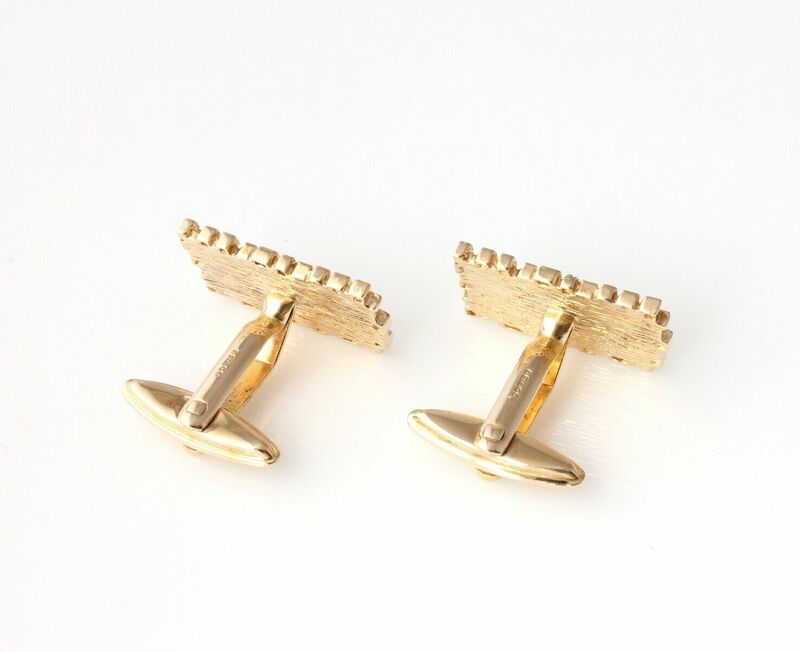 These handsome quality cufflinks are fully hallmarked for 1972 and a very nice weight. 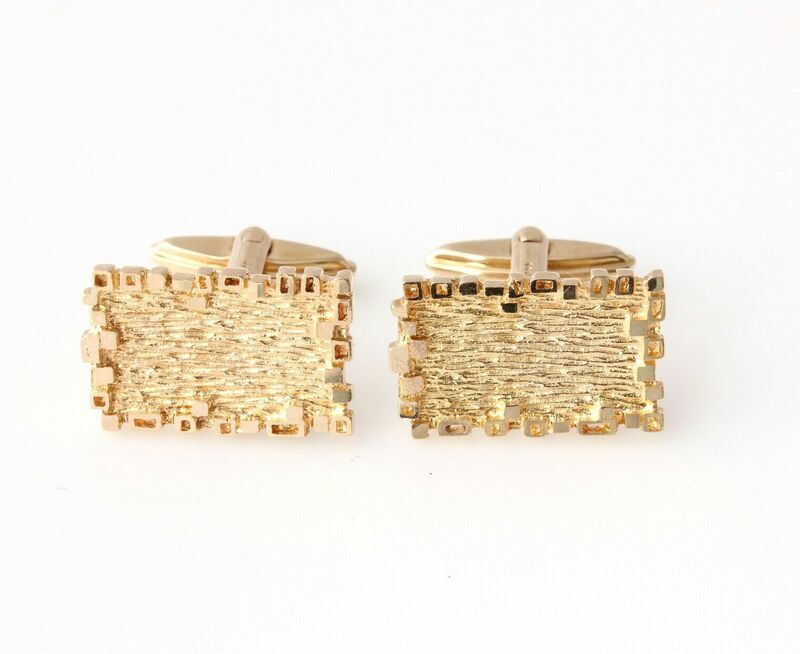 These cufflinks would make a wonderful gift and come complete in a new presentation case / box. Hallmarked: Fully hallmarked for 9 ct gold. London. Date letter r for 1972 and with the maker's mark JDS. 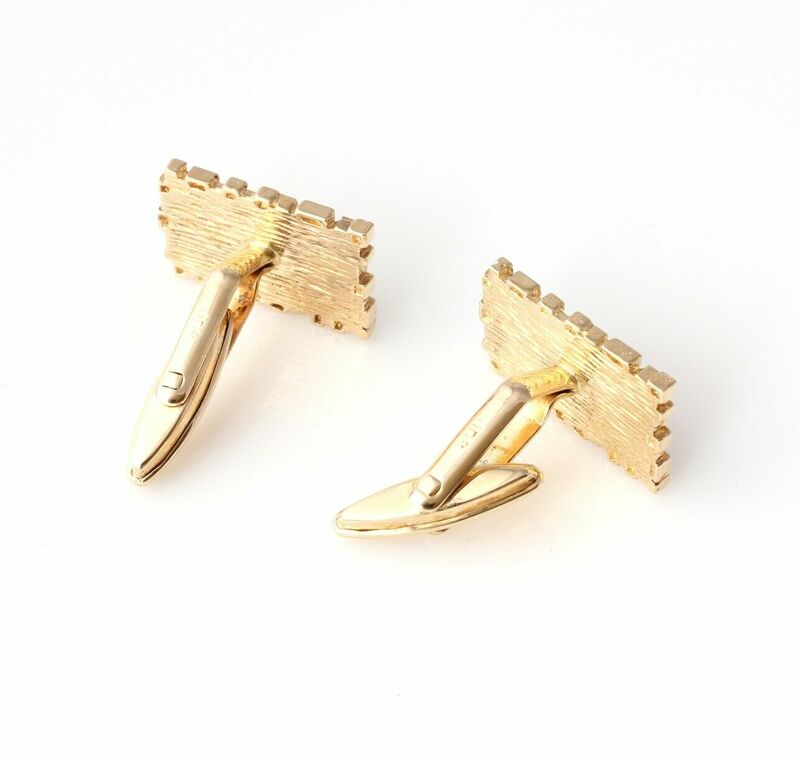 Length of cufflink faces: 22 mm. 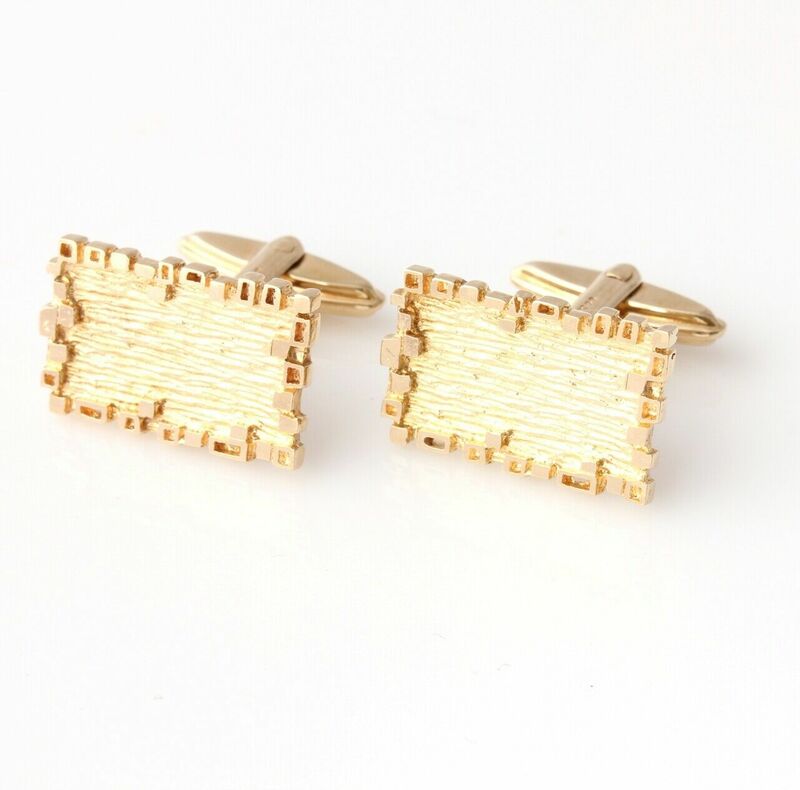 Width of cufflink faces: 13.5 mm. Condition: Excellent used vintage condition. Professionally cleaned and ready to enjoy. Please see pictures. Comes in a new box.